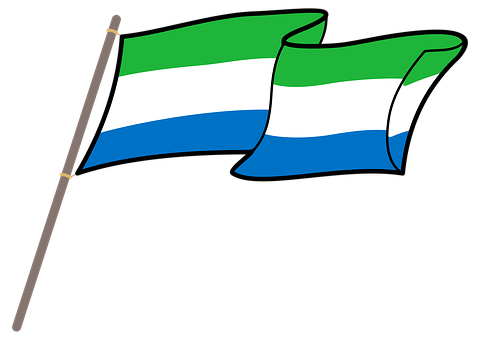 The British colony of Sierra Leone became independent on 27th April, 1961 with the introduction of a new constitution. The constitution made provision for the creation of a House of Legislature to be populated by not less than 60 duly elected parliamentarians. Some of these were directly elected through a system of universal adult suffrage and the others, like the chiefs, were elected through an electoral college. One of the main functions of the Legislature was to pass laws for the maintenance of law and order in the country. A draft bill was sent to the legislature. It is debated and taken through all the procedures laid down in parliamentary proceedings and possibly passed into law. Another function of the Legislature was to approve the annual budget. The budget contained the details of how government intended to raise money and spend it in the coming year. Though the executive had the authority to raise money and spend, it could not do so without the approval of the Legislature. It was the duty of the Legislature to approve nominees of the executive arm of the government to head the various ministries. The list of nominees for appointment was sent to the House of Legislature to appear before a vetting committee. It was only after they were approved by the house that the executive could appoint them to their substantive offices. The constitution gave powers to the Legislature to approve all major policies of government before they could be implemented. Agreements entered to between the government and any foreign entity had to be brought before the legislature for perusal and possible approval. The Legislature was duty bound to check the activities of the executive to ensure that they complied with the rules of their office. The question time in the house, among other measures was used to achieve this. A minister of could be hauled before the house to provide answers to any problems going on in his/her ministry. The Legislature controlled the use of government funds. In fact, it was their function to protect the public purse. The Auditor-General was tasked with the duty of presenting audited accounts of the all the ministries, departments and agencies of government to parliament annually. Where any anomalies are detected, the appropriate steps were recommended for the lost monies to be recovered or the culprits punished or both. 1. What were the functions of the Legislature under the 1961 independent constitution of Sierra Leone?